When you have a sister with a pretty face, cute chinky eyes, who fits the "regular" mold of being 5'3" and a size 2/4, some people tend to think you're invisible. You go to parties and all you hear are adoring comments on how your mom is so lucky to have such a beautiful daughter, (singular, not plural) who looks just like her. When you are pummeled by these ideas from an aunt, an uncle, heartless classmates, your mom's friend, your tutor, a talkative saleslady or a random stranger, your ego doesn't just get bruised, it gets beaten down. It will be a bloodied mess even you won't want to touch. A kid in the stages of developing a sense of identity can't handle all your stereotypical "advice" or "good-nature jokes" on what she should look like. It's never funny for the person at the receiving end. She will learn to loathe attention, crawl into a defensive shell and miss out on a lot of experiences in life because she expects everyone to look at her and only see her fat. So, DON'T. Don't make a joke out of a person. If you can't find anything good (half-meant jokes are hurtful) to say, then just keep your opinions to yourself. Because that kid will one day grow up. And she will remember. Nothing cuter than a maxi dress paired with either a cropped jacket or a cropped vest. Then too, a lovely pair of wedge sandals doesn't hurt either. So I really dig your style here. Your words are so true in this post. Abi awesomeness. 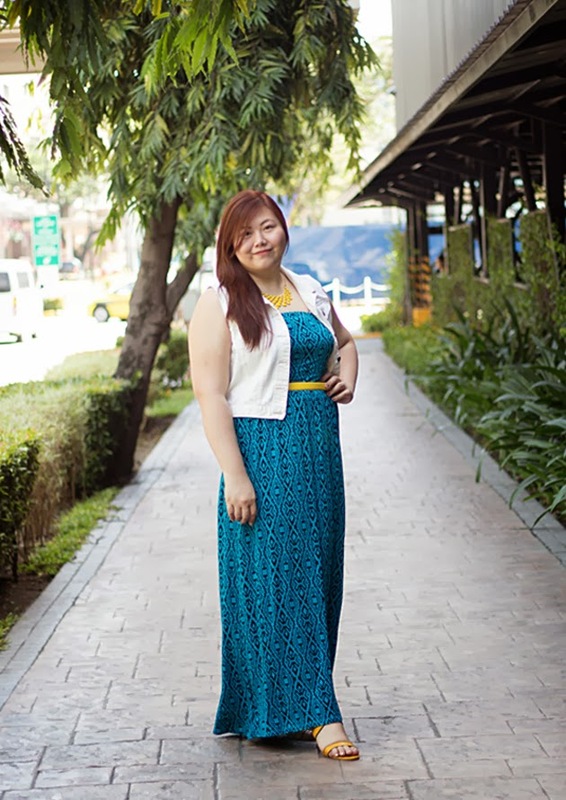 Loving your maxi. I wish a 5' girl like me could wear this and look good ,too. This post came at such a perfect time! I think Thanksgiving is where all the mean-spirited comments come together to breed. I think it's the most hurtful when it comes from your own family - they're the ones who are supposed to love and accept you! No more body -shaming, I say! On a sartorial note, Love the combination of teal and yellow - it's such a refreshing color combination for winter and I love it! The dress is absolutely magnificent as well! You look gorgeous! I think family members often say these to make a joke, because they don't know what to say, or because they really believe that being skinny is the epitome of beauty. This is why we, the new generation, should really start reshaping our beliefs. 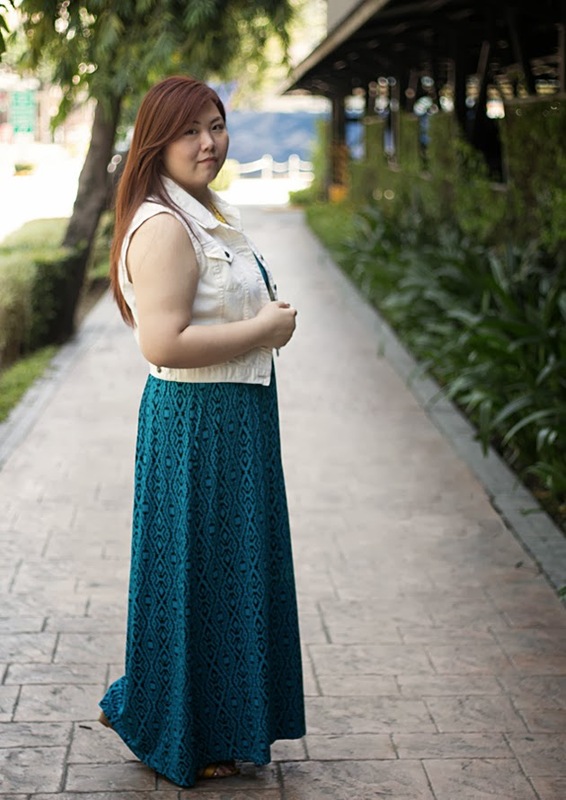 You look so pretty in this maxi dress, I just love this color! I can't believe people really even say these things, especially family members. Shame on them! Everything you said here touched my heart. I hate when all people can focus on is a body (especially girls my age! Its ALL they care about!) and not about the person. This seriously matters to me, and I'm glad you wrote something about it. I think you are a smart girl with a lovely body and beautiful smile! So never stop msiling and ignore all the negative comments! I think it helps when we speak about it not being just OK, because these words are so easily said but the damage they cause lasts for years. I know what you mean Abi, some people can be so heartless and don't know when to stop with the jokes. There was a time when I would give them a dose of their own medicine, answering back with biting sarcasm, but then it would just mean that I'm sinking way down low to their level so I just smile and just be the better person. We, who know what it's like to be put down, often turn out to be better people because we learn compassion and empathy along the way. wow dear you look SO adorable, the entire look is stunning! We survived! Yay! :D Haha! Seriously though, a kid hearing all those things make her feel bad for herself when she doesn't need to worry about a perfectly healthy body. 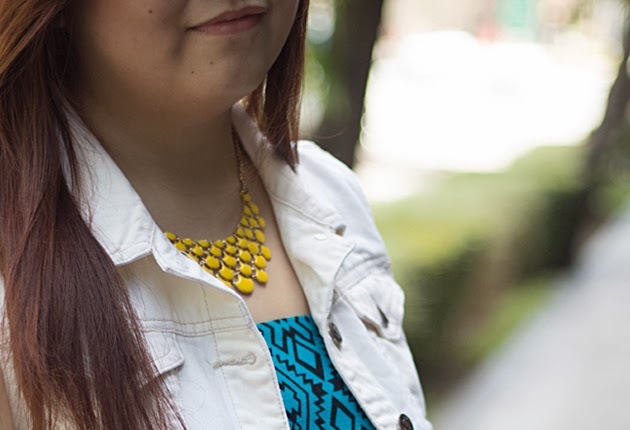 The teal and the yellow is so fun and pretty together! Such a great look on you. Seriously, just ignore everyone because Karma is coming back to them for every cutthroat little sniveling word they say. How a person looks has NOTHING to do with their inside. You shine bright, you're smart, you're compassionate, and you're awesome. Just being honest. Whining strangers and quipping relatives can scutter on back down to their lairs. also, you look great here. Rock your body. As long as YOU'RE healthy, and YOU'RE happy, screw them.